Christmas At The Gas Station. Note: The following is a Wonderful Story that demonstrates by example the Spirit Of Giving – especially at Christmas. We received it by email and. unfortunately, the author is unknown. We hope you enjoy it as much as we did. 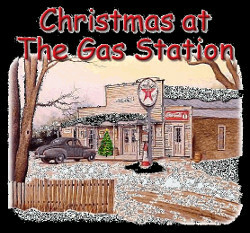 CONTINUE READING: Christmas At The Gas Station. What a brilliant story with a great message. Thanks for sharing.